One of the most common questions about data science on Quora is “What data science certificate should I get?” For students who don’t have a formal educational background in data science, getting some sort of certification might seem like an important step on the road to a data science career. Let’s get one thing clear up front: you do not need any kind of data science certificate to get a job in data science. You should choose your learning platform based on the skills it teaches, not the certificate it issues, because recruiters just don't care much about any data science certification. Certificates certainly won’t hurt you in the job search as long as they’re presented correctly—see our Career Guide chapter on resumes for more details. But they're very unlikely to help much, either. In the research for our Career Guide, we spoke with more than a dozen hiring managers and recruiters in data science about what they wanted to see in data scientist and data analyst job applicants. Not a single one of them mentioned certificates at all. Why Don’t Data Science Certificates Matter? 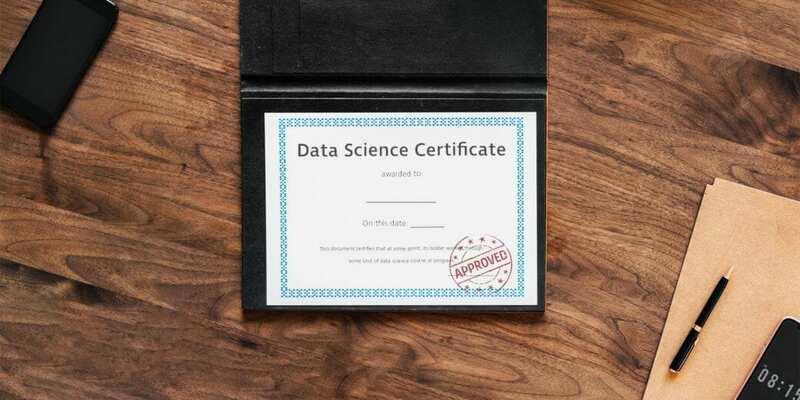 For a potential employer, the problem with data science certificates is that there’s no universal standard and no accepted certification authority. Different websites, schools, and online learning platforms all issue their own certificates, and assessment standards are generally low. That means that at a glance, an employer seeing “Data Science Certificate” on a resume isn’t going to know what kind of training the site or school issuing that certificate offers. They also aren’t going to be able to tell whether the site or school in question has a rigid grading policy (almost none do), or whether it has an effective way of confirming online students’ identities (almost none do). This is true even for many of the expensive certification programs offered online by brand-name schools, including Ivy League schools. Many of these online programs are not actually administered by the schools themselves; they're run by for-profit third party firms called Online Program Managers. And the ways students are assessed in an online certificate program can vary dramatically from the way real-world students are addressed in normal university classes. Most data science hiring managers don’t have the time to research the academic rigor of every data science certification they see on a resume. The average resume might only get 30 seconds of a recruiter's attention, so rather than focusing on certificates that won't tell them much about a candidate's ability, they're going to focus on the areas of a resume that will give them the info they need: skills and projects. Entry-level applicants can be assessed more effectively by the data science projects they include on their resume and GitHub. Higher-level applicants will be assessed mostly on previous industry experience. 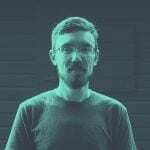 It just doesn’t make sense for hiring managers to spend time trying to chase down whether a particular data science certificate means anything when the information they actually need—whether the student actually has the skills they need to do the job—is available elsewhere on the resume. So What’s the Point of Certificates? Data science certificates aren’t totally useless, of course. At Dataquest, we issue certificates for course completion, because we see it as a good way for some students to highlight that they’re actively engaged in learning new skills. Recruiters do like to see that applicants are constantly trying to improve themselves, so listing certificates can help your job application in that way. Make no mistake, though: the effect is likely to be minor, if there’s any effect at all. What’s most important to recruiters is whether you can actually do the job, and that’s information they’re going to find primarily by looking at your portfolio of projects. They're going to look at your projects and skills first, and either eliminate or pass your application to the next round based mostly on what they see there. Continued learning efforts are something you can and should bring up in an interview, but they're very unlikely to get you an interview. Long story short: data science certificates are unlikely to help much in your job applications, particularly at the early pass/fail stage of resume assessment, so you shouldn’t focus on questions like "which data science certificate is best?" when you’re trying to figure out where to learn data science. Find the platform that best helps you learn the crucial data science skills, because that’s what’s actually going to help you land jobs in the field.